Three words: Cake. Batter. Pancakes. Kanela Breakfast Club's Wicker Park outpost is turning three this year and celebrating with a weekend long birthday special. For the occasion, Kanela Chef Alexandra Swieton is whipping up Birthday Cake Pancakes. These pancakes made with cake batter are available at Kanela October 6 through 8. 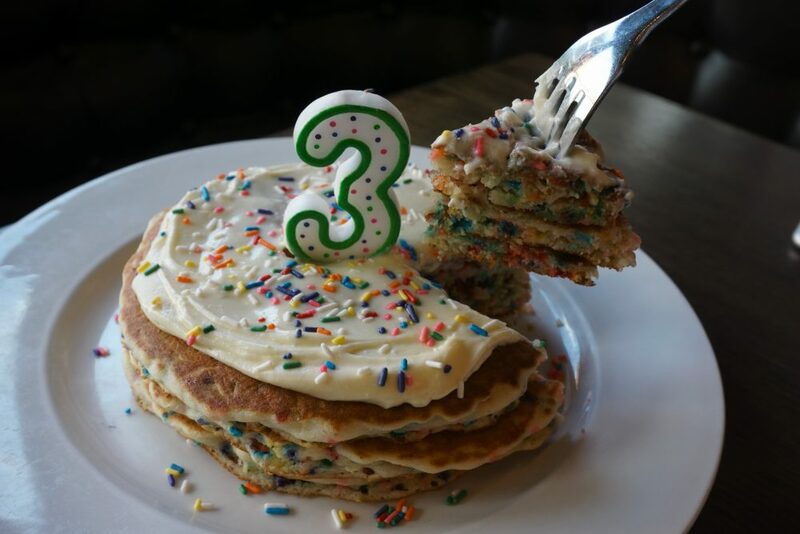 The Birthday Cake Pancakes will be available for $13 and feature cake batter pancakes with buttercream frosting and rainbow sprinkles. As a fun treat, the pancakes will come topped with a lit candle which the customer will get to blow out. Patrons can sink their teeth into this sweet special Friday, October 6 through Sunday, October 8.